Roll out of bed, stay in your onsie and join us for a cozy pub crawl! And since you will be so comfy - we will continue the fun with dueling pianos after the crawl. Tickets are $15 for the pub crawl and Blazin' Keys Dueling Pianos. Or $10 for just the Blazin' Keys Dueling Piano Show. 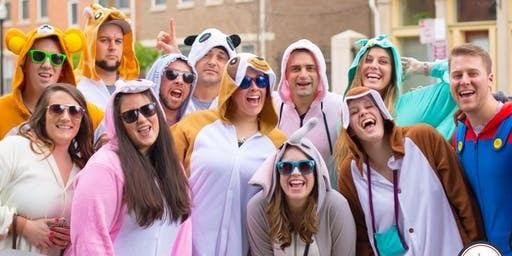 3pm - 7pm Onesie Pub Crawl through downtown Morehead City. Stay tuned while we confirm all the "stops".